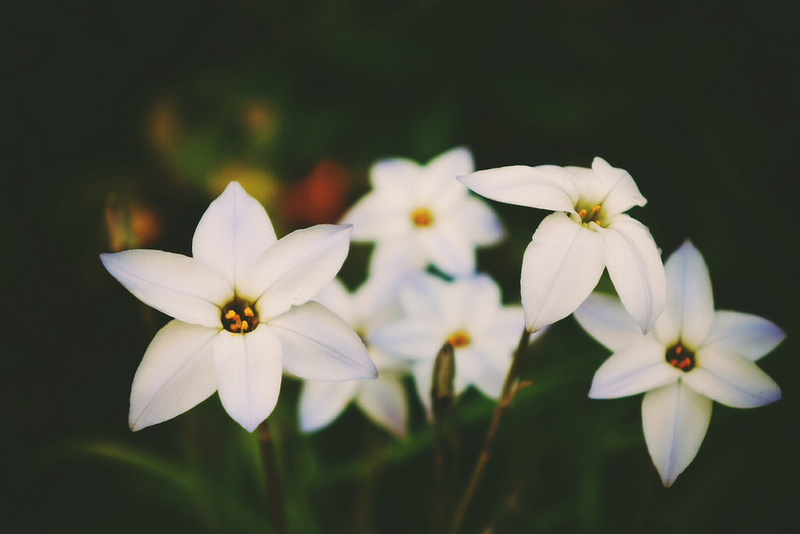 Today, we have a photograph of Ipheion uniflorum, or the spring starflower. This image was uploaded to the Botany Photo of the Day Flickr Pool by frequent contributor, Christopher Young (aka c.young@Flickr”). Thanks, Christopher, for sharing! Ipheion uniflorum (syn. Tristagma uniflorum) is a South American species, occurring natively in Argentina and Uruguay. Not difficult to grow, this bulbous species with its grassy foliage is often cultivated (and occasionally naturalizes in or near gardens). The spring starflower has attractive star-shaped flowers that range in colour from white to violet to blue. The flowers have a mildly spicy fragrance. This smell is characteristic to many of the genera within the onion subfamily (Allioideae) of the Amaryllidaceae (amaryllis family). Chemically, the scent is due to the presence of organosulfur compounds such as allyl propyl disulfide, diallyl disulfide and allyl methyl sulfide. These compounds are of economic use: they have been used as food flavourings, but also medicinally for antimicrobial and disease prevention properties. I can’t say enough about how lovely these flowers are for spring gardens. I planted some 10 years ago in my San Francisco Bay Area garden, and they have bloomed reliably no matter how cold or how warm the winter was, making a very pretty show of light blue flowers for about a month each spring. In my area, it can be tough to find good spring bulbs to naturalize, since our winters are just not cold enough for many types and our soil is heavy clay, but these have been troopers. The flowers are so perky, they lift my spirits every time I walk past them. Thanks for featuring them today!! I just saw some today in a garden and wondered what they were. Thanks for supplying the answer! Alas, these are not hardy here in Minnesota (at least not for me) but when I lived in Washington DC I would see big patches of them naturalized in lawns–it seemed quite clear that they self-sowed. I like this one, too, but have found it to be a little invasive at times, the white version (at first) spreading into neighbouring pots and garden beds, soon to be followed by the common blue variety. The deep blue variety has been overwhelmed by the others. On the other hand, where I have deliberately planted it in the garden, it has not spread, and sometimes eventually died out. The beautiful photograph is much appreciated. They don’t winter over for me, either, here in southern coastal Maine (Zone 5b), even though they are rated to Zone 5a. But I have clay soil; perhaps they just require better winter drainage. Christopher’s beautiful photo makes me want to try again! Many thanks.